Being an advocate of healthy eating, I have had the opportunity to interact with several health experts, nutritionists and professionals that have honed my thoughts of good food. 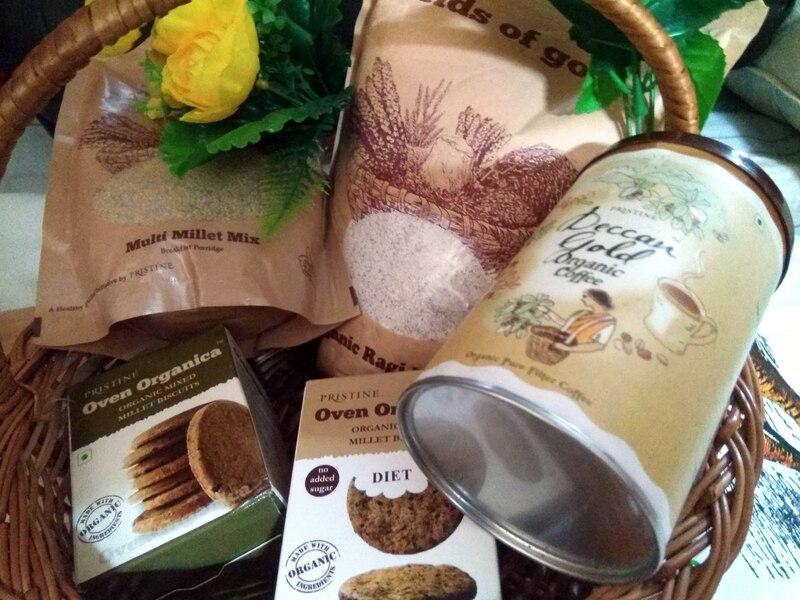 So recently when I received a hamper of millet based products from Pristine Organics, I was quite thrilled to taste them and cook using the products. My interest in millets and their health benefits has been since the last couple of years and I am constantly looking at ways in adapting them into my diet. The product mix I sampled from Pristine Organics were great and packed a punch. 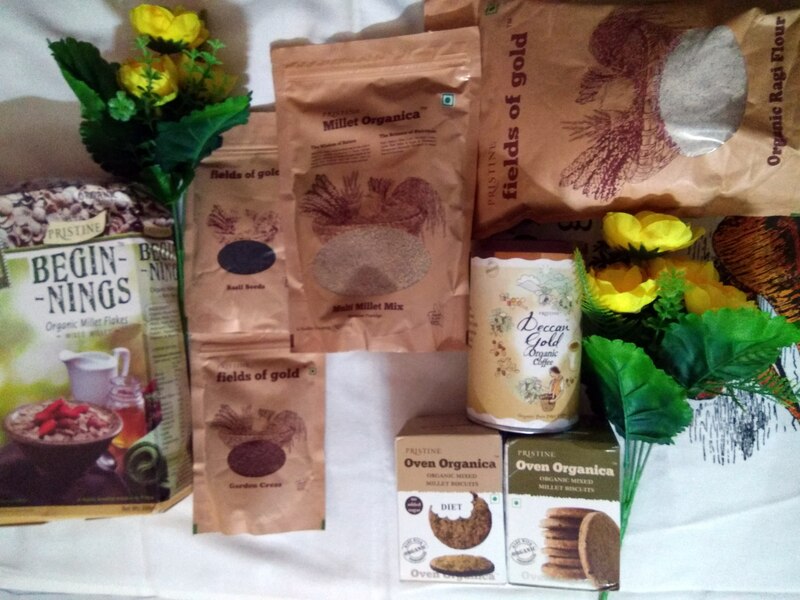 To start with the cookies – the Oven Organica collection that has the mixed millet biscuits has two versions – a diet one without sugar that has a salty and slight spicy flavour and the sweet one that will be a hit with kids. The Organic Millet Cereals are a great breakfast option and is enriched with vitamins – it has a nice flavour and the best way to have it is with seasonal fresh fruits, milk and a dash of honey. This is a better choice simply because of the fact that it is much more superior than the usual cornflakes that you may be eating for breakfast. Alternately the organic ragi flour made from finger millet is a staple especially in Karnataka and this one makes fluffy ragi rottti akin to a thick chapati made using ragi. Another great idea is to use the Millet Organica an Organic Mixed Millet Porridge that has high dietary fiber, low glycemic index and is gluten free. A boon for people who are watching their cholesterol levels, this can be used to make upma and even the traditional puliyoghare. If you love coffee like me, the Deccan Gold Organic Coffee is a good best considering also that it is a filter coffee blend that makes for a perfect cup of coffee. The best part is the minimal processing that ensures that you know what you are drinking is pure for sure. The other products that are a mist try include the Garden Cress seeds, that must be soaked before using and these omega rich seeds work both as a stuffing and as a topping with plain water, in soups, salads and also a fruit juice. Likewise, the basil seed that has a cooling effect and is best used with lemon juice. All products that I used and many more are available online here. And if you wanted to make a healthy choice, this is the perfect choice. Disclaimer: I only received a hamper of products from Pristine Organics, all opinions are my own, as always.